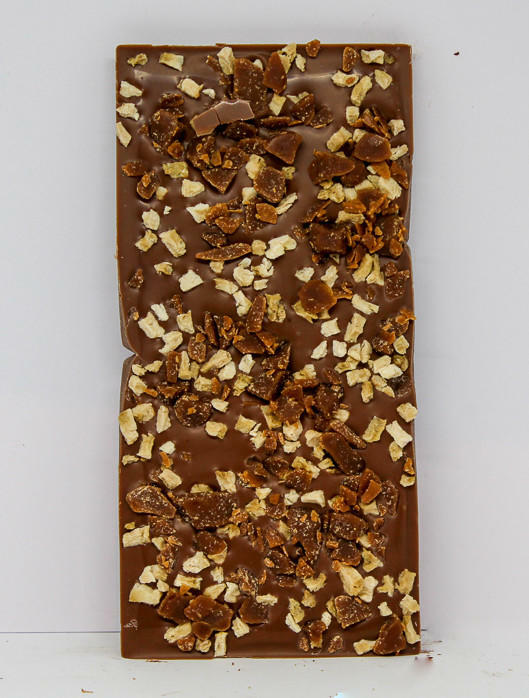 Our handmade salted caramel bar offers a unique experience in each bite. 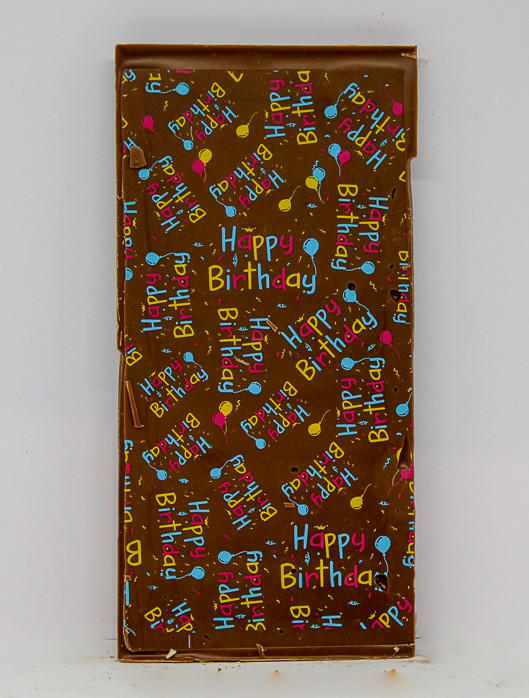 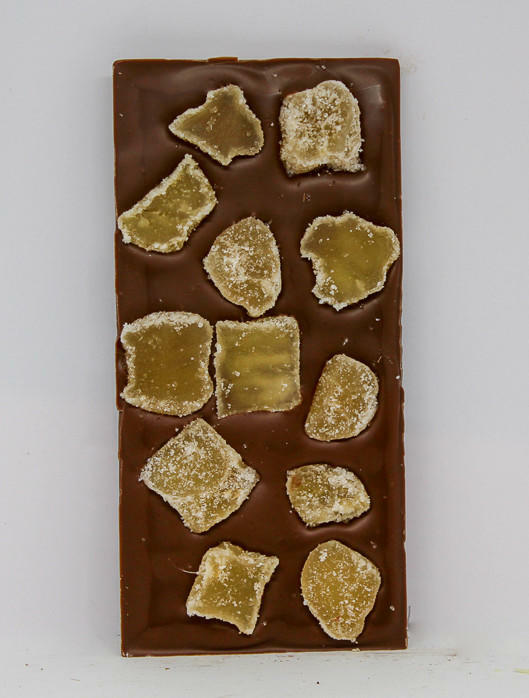 Each mouthful is a little adventure as the balance of sweet caramel toffee, sharp sea salt and creamy milk chocolate vary subtly in each mouthful. 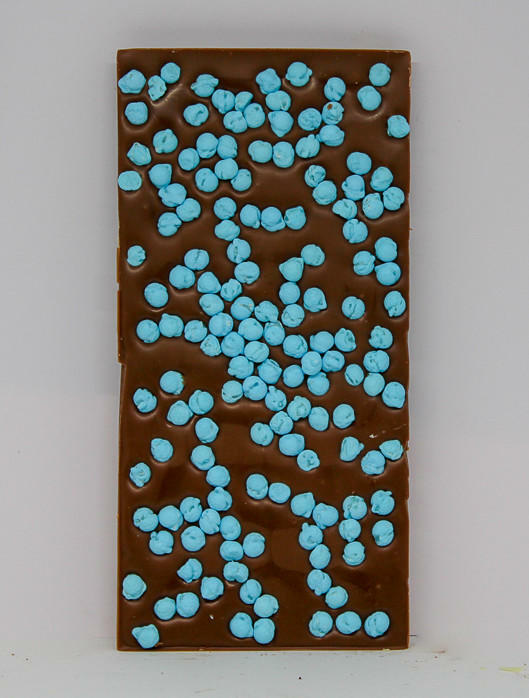 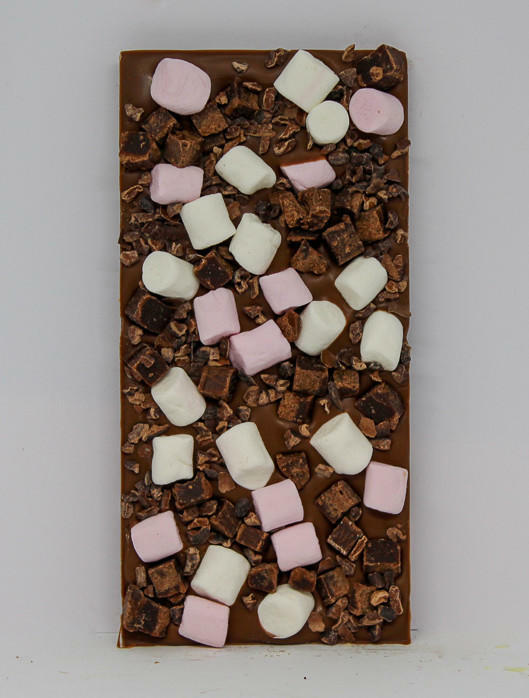 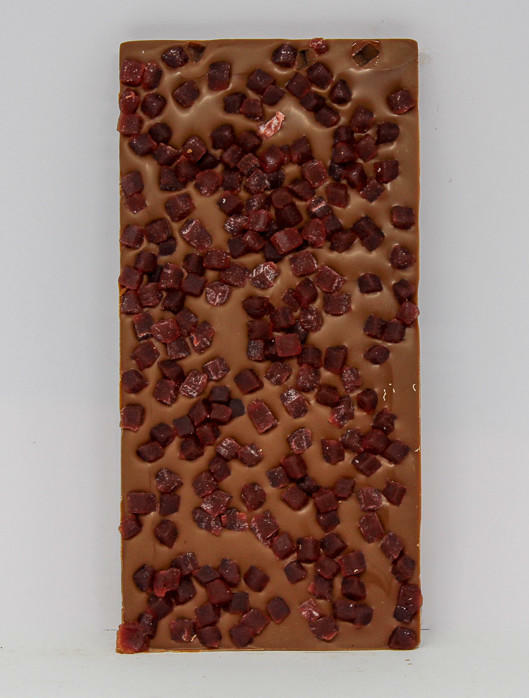 34% milk chocolate with Maldon sea salt and chewy toffee pieces.